What are the Razer Kraken? The Razer Kraken is Razer’s previous pair of wired gaming headphones. While Razer has previously marketed this range of gaming headsets towards esports enthusiasts, the new name change and generous £79.99 price means the Razer Kraken should appeal to a wide spectrum of gamers and could well be one of the best value gaming headsets currently available. Like most headphone successors, the Razer Kraken have seen minor tweaks since the Razer Kraken Pro V2 rather than revolutionary overhauls. 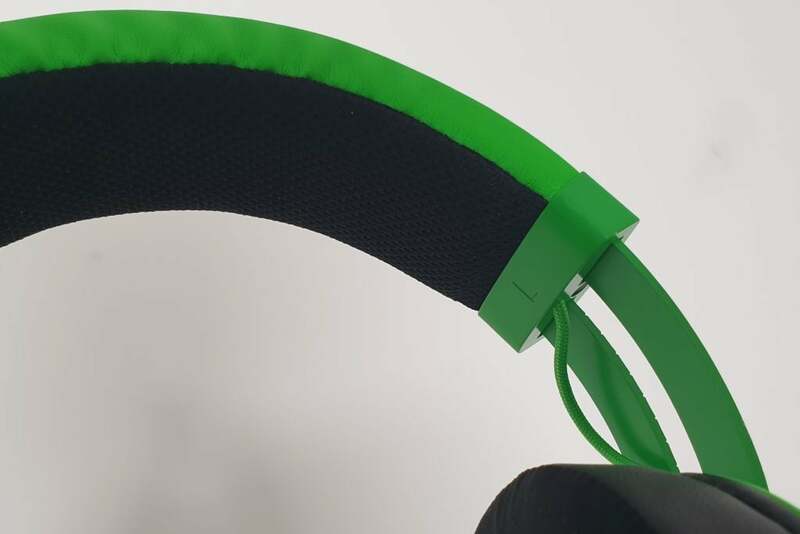 Razer has added thicker and comfier padding to the headband, cooling gel-infused ear cushions to prevent your head getting toasty, and an improved microphone that does a better job of rejecting ambient noise. Some may be disappointed to see the audio quality has been left untouched with this upgrade, but since the previous Razer headset offered such a fantastic performance in the first place it’s difficult to grumble – especially since there’s no price hike accompanying the upgrade. The Razer Kraken looks largely identical to their predecessor. Rather than the angled and detailed stylish looks of other premium gaming headphones, Razer has gone thick and cushiony – dad bods are in vogue, I guess. That’s not to say the Razer Kraken are the Seth Rogen of the gaming headset world. This pair of gaming headphones look incredibly stylish. 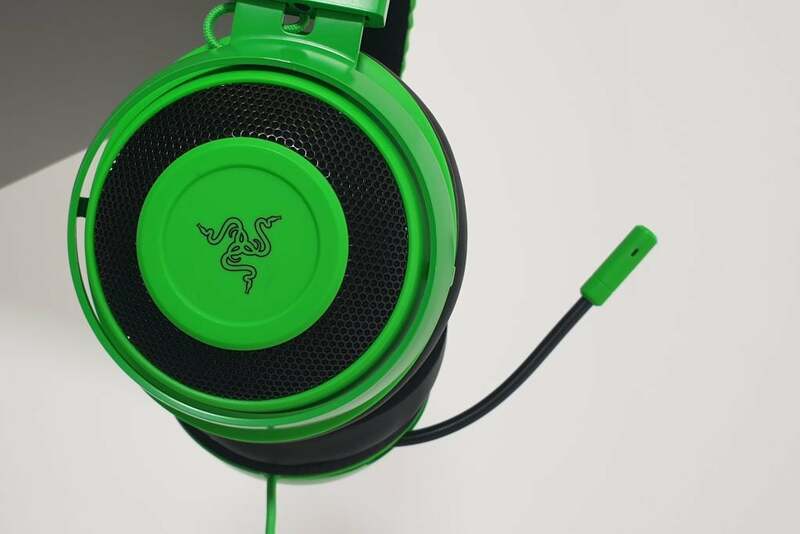 The honeycomb grilles surrounding the Razer emblems on the outside of the earcups do a great job at flaunting personality, as does the bright green coating that looks extravagant without being overbearing. And if you’re not a fan of the green, there’s also a Quartz Pink edition as well as the Razer Kraken for Console that’s coloured black with blue highlights. The ear cushions remain as snug as they previously did, but now feature infused cooling gel. This will help to reduce heat build up when you’re playing for long stretches of time – we all know how long those Apex Legends sessions can last. The headband has also seen a slight upgrade, now with thicker padding. This isn’t immediately apparent, but press down on it, and you’ll notice the foam is now firmer to better support your head for longer periods. Underneath all the padding and foam is a metal band that ensures the Razer Kraken has a robust and premium build. You shouldn’t have to worry about these snapping if you carelessly stuff them in your rucksack. At 322g, these headphones weigh the exact same as the Razer Kraken Pro V2 and are light enough that they never felt cumbersome on my head. 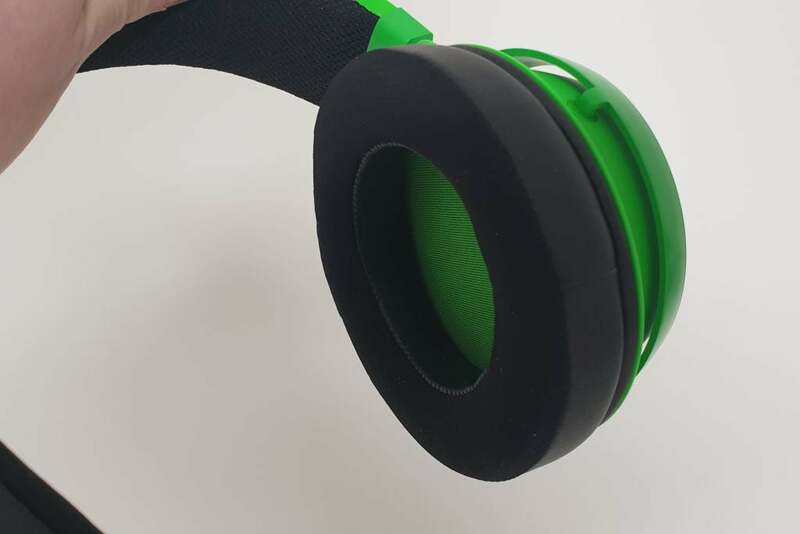 A simple tug on the headband allows you to easily adjust the height of the headphones too, so there’s no need to worry about the size of your skull. The microphone is largely the same design-wise too. It’s retractable, so you can hide it away when not in use. Being more flexible than a gymnast, the microphone can be twisted and fixed into any position you fancy. I really appreciated this, with other retractable gaming headset microphones often prove awkward to adjust. The 1.3 metre cable is long enough that you won’t constantly find your head being tugged, but importantly short enough that you won’t become entangled in a web of wiring after a few hours of play. There’s an in-line remote about halfway up the cable featuring a volume wheel and microphone mute slider. This keeps things simple but elegant, although the volume wheel is too sensitive, as I often found myself accidentally knocking it and frustratingly escalating the volume to ear drum-bursting decibels. 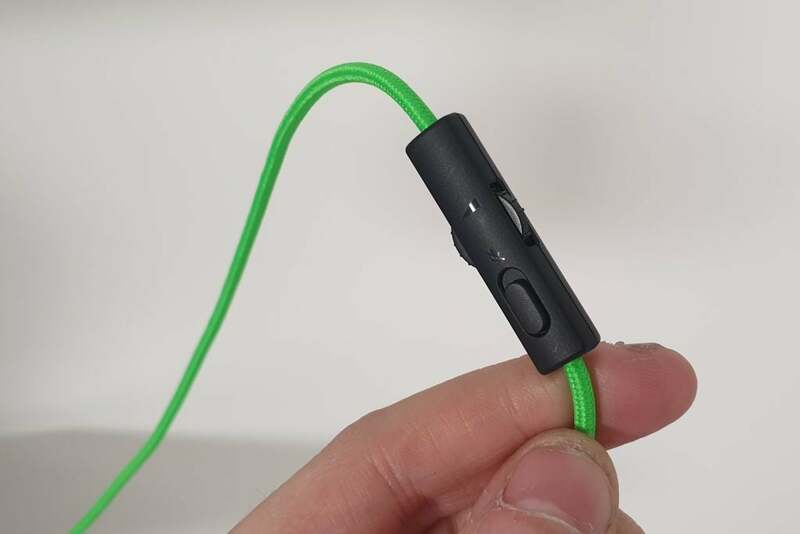 By using a 3.5mm analogue connection, the Razer Kraken are compatible with most devices. That’s right, these headphones will work with your PS4, Xbox One and Nintendo Switch. An adapter even comes bundled in the box for when devices require separate 3.5mm out and in ports. The versatility of the Razer Kraken is one of my personal favourite features, especially since I frequently jump between consoles and PC. Nothing really has changed since the Razer Kraken Pro v2 in terms of audio performance. The custom-tuned 50mm drivers make a comeback, and offer a great gaming performance for the money. Volume can be cranked up to a very high decibel, to such a degree in fact that it becomes loud enough to piece your ear drums. I’m still happy to have a high range here though, as I’ve found some gaming headsets to be too quiet, even at peak volume. I didn’t have a gripe with the Razer Kraken headset when they came to gaming. There’s enough detail here to hear the metallic crunch of a reload, and there’s plenty of bass to give the likes of grenades and jetpacks satisfying boom. There’s no surround sound for pinpoint tracking, but these are at least stereo headphones. This means you can hear the approximate direction of the likes of gunfire, with the headphones using two channels for either speaker instead of just the one. But while gaming performance is solid, the Razer Kraken aren’t so versatile when it comes to general music playback. Vocals are a little fuzzy, and not as clear as you’d find with more premium headphones. Instrumentals also lack crystal-clear clarity. The audio quality is still sufficient enough for me that I’ll happily use the Razer Kraken to listen to Spotify all day, but self-acclaimed audio snobs will almost definitely want to invest in some dedicated headphones instead. For £80 though, these gaming headphones offer fantastic audio quality. The Kraken has also seen a minor upgrade to the microphone, with improved ambient noise rejection. This means it should be better at ignoring background noise compared to previous iterations, so your friends don’t have to suffer the barks of your dogs or the blaring sirens in a nearby street. For testing, I didn’t notice a substantial difference between the Razer Kraken Pro v2 and the new Razer Kraken. I conducted various tests – sometimes I played music in the background, and other times I played YouTube videos of people chatting – but the Razer Kraken seemed to be just as guilty as its predecessor at picking up distant sounds. This isn’t a major concern though, as the background noise was still at a low enough volume that my voice was still easily audible, but I wouldn’t go upgrading the Razer Kraken Pro v2 to the Razer Kraken if you’re keen to banish ambient noise. 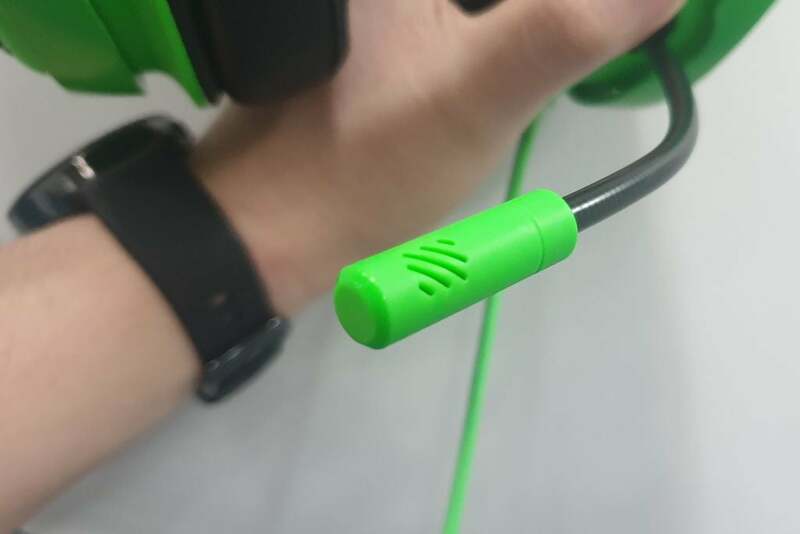 The Razer Kraken maintain a high quality for its microphone. My voice is clear and crisp, while volumes are pleasingly high so you certainly won’t need to raise your voice to make sure your commands are heard – keep that for disciplining your disobedient friends. Why buy the Razer Kraken? It’s all about subtle tweaks with the Razer Kraken, so if you’ve already got a pair of the Razer Kraken Pro V2 cans, there’s just not enough substantial upgrades here to merit an upgrade. If you haven’t already got a gaming headset though, then it’s an entirely different story. The Razer Kraken offer superb audio quality, and with the new changes to the ear cups, they’re now even comfier to wear. You’ll have absolutely no problem with them sitting on your ears for long periods. And since the Razer Kraken cost exactly the same price as they’re predecessor, they’re a no brainer purchase if you’re looking to buy some gaming headphones for both consoles and PC that are available under £100. The post Razer Kraken Review appeared first on Trusted Reviews.